We are delighted to be able to offer this amazing design and two others in the series, by Bridgette Lee. She has a wonderful whimsical style - you can see more of her work on her Etsy shop. The design is totally exclusive to us, making it really special. This version of the design has "GREYHOUND" drawn out in an elegant script, each letter enhanced by it's own little hound. 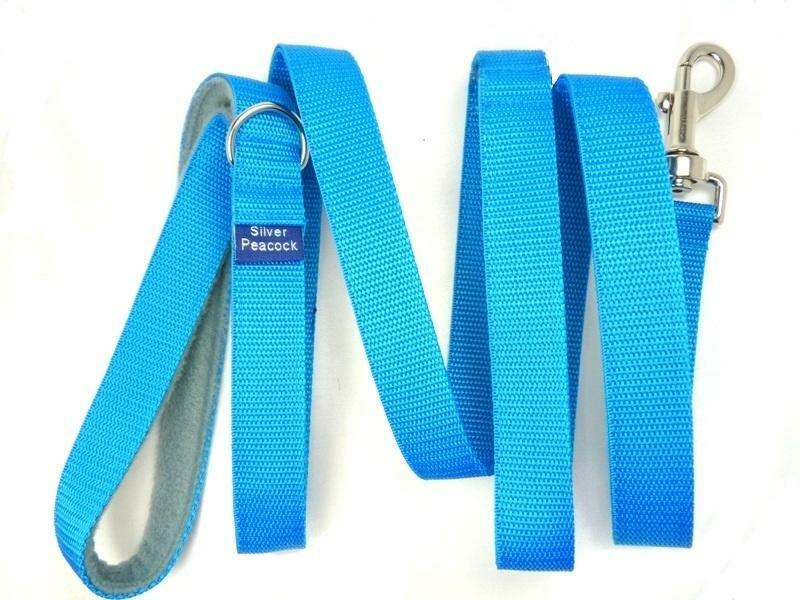 With two colourways - magenta purple and Aqua blue, there's one for every Greyhound! Both collars are show here in the 5cm width. The collars are lined in complementary fabrics - purple for the magenta purple background design; and turquoise for the aqua blue design. 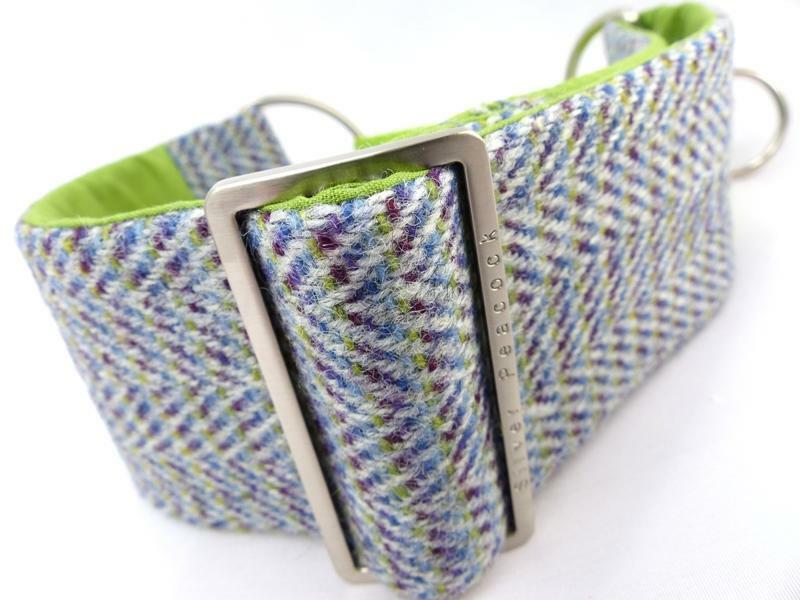 They are finished with our signature robust silver coloured hardware and a complementary light purple or aqua coloured martingale section. The design is custom digital printed on the best cotton sateen.